I met Amanda through her brother who I’ve worked with in a couple of different educational settings. He kept telling me, you’ve got to meet my sister, and he wasn’t kidding. Amanda and I were vinyl sisters the moment we started talking and there are few people as sweet as she is. Amanda is a record junkie with a past in the music industry, she is currently finishing up her masters degree (MSIS) focusing on audio archives & preservation. Want to know and keep up with what she’s doing next, keep reading… especially if you love Bob Dylan. After working in the music industry at the turn of the digital distribution revolution, I found myself drawn more toward music history than new music. I felt compelled to shift my focus toward the preservation of legacy recordings and participate in sharing these incredible stories. Right now I am a grad student which as you can imagine, it is not a glamorous or exciting endeavor. I read a lot of academic papers about archival practice, library science, and museum practice. Then I write a lot of papers. In about nine days I begin work on my master’s thesis project at the new Bob Dylan Archive in Tulsa, OK. I will be working with them to help develop parts of their organizational structure for both the physical and digital collections. It’s more or less all about digging into the very best way of organizing your record collection, digital audio, and memorabilia collections like you do at home except on a much larger scale. Then having the added challenge of documenting the minutia of provenance for every piece and making it all easy to navigate. Last year I researched, cataloged & digitized a collection of cassette tapes made by an Austin song-hunter & folklorist named Tarry Owens. He made numerous interview recordings in the late 80’s and early 90’s with blues musicians in Central Texas. The collection documents the transition of blues as these musicians moved from rural areas to cities. The materials chronicle the evolution of Blues from acoustic folk music into Electric BLUES the way we know it today. The collection also captures less documented portions of Austin’s history and the early beginnings of its transformation into a live music capital. There were numerous field and studio recordings in the collection in addition to the interviews. I learned so much about the history of Texas Blues. Most important to me are the experiences they shared, some of their stories will stay with me forever. On a personal note the nitty-gritty of this work boils down to organizational structures and spreadsheets filled with metadata, but my favorite parts about it are the stories and the songs. After a long, frustrating blurry-eyed day at the computer, it’s vital for me to reconnect to the music and the passion. I venture to say it’s important for all of us to stay connected to the big picture so that the details don’t get the better of us. Professionally, I don’t think the value of this kind of work is widely recognized. Historically, even within the archival sphere audio and video haven’t received the resources necessary because they are more laborious and costly to manage than other materials. Since I will find myself on the job market soon, I worry about not only demonstrating value and fighting for resources but also navigating the added challenge of receiving an equal and competitive salary for my skills. Neither of these challenges is unique to this career though, all of my previous work experiences presented similar concerns. UT Audiolab Monks record cleaning machine. Spend some time exploring music museums and historical sites. Volunteer at your local library, historical society or museum, there is a lot going on behind the scenes and the experience will provide a lot of insight. Then decide if graduate school is right for you, keep in mind that it’s a significant investment of time and money that is not likely to make you rich, financially speaking. If I haven’t scared you away at that point, find an information science masters program with dedicated audio and video coursework, make sure it includes access to a lab with hands-on instruction. Not all of the iSchool programs out there have faculty with this expertise. I have also been told some only cover the material in a theoretical context without providing the opportunity to get in there and get your hands on the machines. UT Austin has an excellent program but there are others. The Association for Recorded Sound Collections or ARSC is the primary professional organization of this niche in the archival sphere. Their website is a wealth of knowledge and resources. The yearly ARSC convention is an incredible experience, try to attend if you can. I am a record junkie, not so much the “collector” in the sense that I need everything complete and pristine though, I want to hear the music and look at the art. I did not set out to collect records it just kind of happened. I have often referred to my record collection as an occupational hazard that I happen to enjoy. I love music and the part it plays in our culture, so I always want to find out the story behind it and the people involved. I also like that I will never hear or know everything, it’s a limitlessness I find captivating. 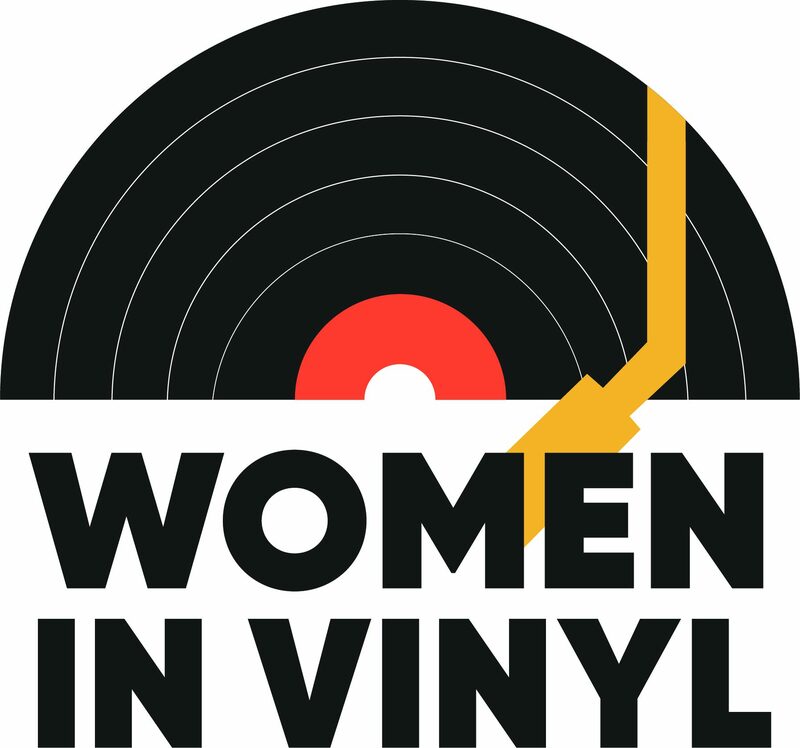 Vinyl records are the most stable, hi-fidelity sound carrier and the physical experience of owning and listening to records is unique. There’s a deep connection other recording mediums have been unable to replicate. It’s all really personal and a little mysterious. I’m sure most people can’t explain how a disc of black wax carries music, there’s something mystical about it even if you do know how it works. I like that. Vinyl is forever, and there’s always more to hear! What’s better than that?! But there is a cost, of course, moving is absolutely the worst. On the whole, the resurgence of vinyl production is fantastic! I love that physical distribution has managed to resurrect a foothold. Ten years ago we really didn’t know how it would play out. Of course, it is also a bonus that I’m a record junkie and vinyl is archival! I will take a moment to raise an unpopular concern about the 180 gram virgin vinyl release frenzy. As a collector that enjoys her records, I adore these releases obviously. However, from an environmental standpoint, it’s not an ideal trend because vinyl really is forever. We probably should not release everything on 180g virgin vinyl, even though we want to and can. I wonder about the balance we need to strike to meditate the ecological costs of our beloved collections. One of the things I am focused on right now is how to create and implement new software programs and management systems into archival workflows. Even though that does not sound the least bit exciting, I am excited about how these new tools can improve and accelerate the task of processing materials and radically transform accessibility. Even more than that, I am thrilled about their potential to revolutionize the research experience. None of that sounds exciting per se, but if you went to see the David Bowie Exhibition or you like to watch Rockumentaries on Netflix, I think you’ll be delighted in the future. I consider this an exciting time with a lot of potential on the horizon. We tend to think about music deserving of documentation and preservation as being made by other people in other places, but this is definitely not true. If you have a vibrant local community of musicians, consider how you can document it through photos, video, audio recordings, and objects. Recently some friends of mine took on the task of creating an archive of the punk scene in Pensacola, Fl. (309punkmuseum.org) This community archival project produced a museum exhibit. The opening night reception for Punksacola, drew more visitors than the museum has ever experienced in one day. This is your history and my history, it’s OUR history; it is worth documenting and saving. Check out the 309 punk project, get inspired, & of course, make stuff! Hey Amanda, GOOD JOB. Lee and I hope to. stop by Tulsa on our way from Colo to Destin. Love to ck in on what you r doing and see the museum. Will text u when we might have a date in mid October. Sleep up the good work ! Aunt Kathy. I hadn’t ever considered the environmental impact of virgin vinyl! Fascinating interview as always. Great job!